Cloud Termite and Pest Control is excited to announce it has acquired Sarasota-based Cimex Pest Solutions LLC. 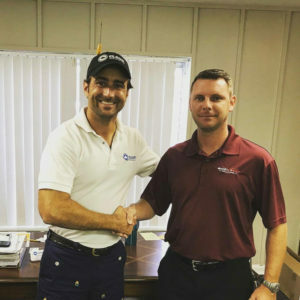 Cloud Termite and Pest Control services Bradenton and Sarasota and this acquisition strengthens their footprint in this region. Cloud Termite and Pest Control (formerly Manatee Termite and Pest Control) is a Florida-based company that provides safe, environmentally-friendly and long-lasting pest and termite control solutions. Cloud Termite and Pest Control is owned by the Cloud family and has been protecting homes and families in Florida since 1934. They have highly-trained and professional staff, including the owner who has a degree in Chemistry from the University of Florida. Cloud Termite and Pest Control provides pest control solutions for ants, cockroaches, termites, bed bugs, fleas, ticks, wasps, spiders and other pests that may cause harmful disease.